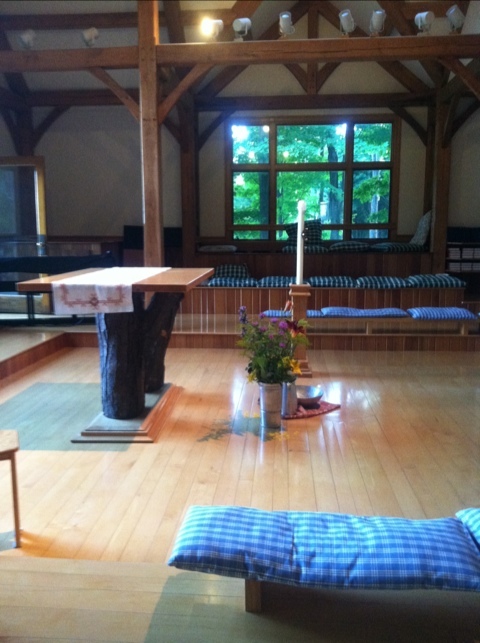 Tonight I sit in Holy Peace Chapel with others seeking solitude and community. This is my first opportunity for an evening of peaceful re-creation here at Mt. Irenaeus this summer. I came tonight with a heart full of questions longing for answers. Earlier today I gathered on the campus of St. Bonaventure University to reflect on one if Parker Palmer’s books. Tonight’s theme is about transformation. Will I be transformed tonight or even this summer? Have I been transformed at St. Bonaventure? Yes, and that is what invited me here tonight. This entry was posted in Spiritual, Uncategorized and tagged contemplative, Spiritual. Bookmark the permalink.